Most people train their dogs to sit and shake-a-paw. But advanced dog training, that's another thing entirely. Only the most dedicated dog owners will take it further than basic obedience, which is really rather sad! We make sure that our kids get the best education possible, starting with Kindergarten and ending with college, university, or an apprenticeship before heading into the workforce. We teach them manners, and even how to behave appropriately in social settings. Why not the same for our dogs? Don't get me wrong... I am not saying that our pets are the same as children, because they're not. I can't get into all the behavior problems that come from treating our dogs like little people trapped in fur, but it's safe to say that as a member of our family and society, manners is just as important for the dog as it is for the kids! Basic dog obedience training is obviously the place to start. Don't rush this training, but spend as much time as you can practicing and "distraction-proofing" what your dog has learned. 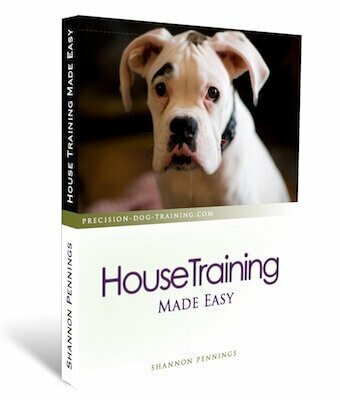 Before you can even think about advanced dog training exercises your dog must be consistently following through on all the basic commands and exercises. Now, I understand that not everyone is interested in continuing on with their dog's training past sit and down. It's your dog, so you get to make that decision... if you and your dog are happy with just a basic level of obedience, then that's fine! But I know that both of you can be so much happier (and safer!) with a higher level of obedience under your belt. Would you not love it if your dog listened to you all the time, whether he could see you or not, if your back is turned, if there is no leash attached, or if a squirrel runs by? The simple fact is that dogs like to work. They like to have a job to do, and are happiest when they get sufficient mental as well as physical exercise! 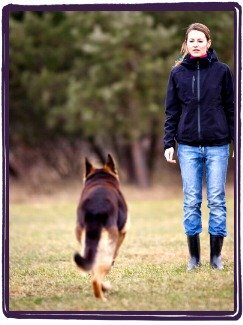 It's important to understand that off leash dog training is part of advanced training. Too many owners assume that their dog will listen to them when the leash is off without having done the proper training for this! Humans today like things done now. Stat. Pronto. Instant results. Well, guess what? That's not how it works with dog training! Quite the opposite - the longer you spend on each step of training, the better the results are going to be. On the other hand - rush through the steps, and you'll have a dog who is inconsistent and unreliable... though no fault of their own. So take a page from years ago and slow down. Enjoy the process, and give your dog the chance to be successful off leash by making sure that he is consistently listening to commands with a leash on first. Then move to working on a long line with your advanced dog training for several months. Only once you are 150% certain that your dog will listen to you should you take that lone line off! Advanced dog training strengthens your dog's off leash recalls. I mentioned using a long line before going off leash with training. What is the long line good for? 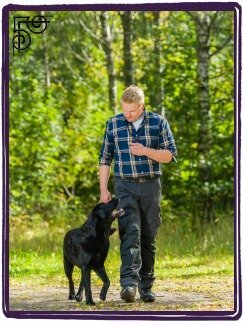 This is one of the most important advanced dog training tools you will be using. It gives you the ability to work on increasing the distance between yourself and your dog while still maintaining control. Just because your dog listens well to you with a 6 foot leash on, that doesn't mean that you can unclip the leash and expect the same obedience right away. Go sloooow. Buy yourself a good 25 or 30 foot long line, and begin using this while training your stays and recalls. Better yet, buy two so that you can tie them together when you're ready to work from even farther away. So if your dog is really good at doing a down stay while on leash from 6 feet away from you, replace the leash with your long line and this time go 7 feet away for a down stay. This is one of the most important advanced dog training tools you will be using. It gives you the ability to work on increasing the distance between yourself and your dog while still maintaining control. Don't immediately try going 10 or 20 feet away because your dog's not ready for that yet. He will likely get up, and that makes it an unsuccessful exercise. Remember - always set your dog up for success. That means move away in tiny increments. Each day he is successful at staying down, for example, move maybe another foot or half a foot away on your next down stay. The more successful he is, the more confident he will get and your training will stick better! Obviously, when you are training from over 10 feet away you won't be able to correct your dog immediately if he moves out of the stay position. Your instinct will be to yell or verbally scold him from a distance. Instead, say nothing but move quickly back in to him and give a leash and collar correction to put him back into the stay position (whether it's a down or sit). You can praise once he's back in that position, but don't repeat the commands either to sit, down, or stay. You want him to learn to hold the first command that you gave him initially. Then move away from your dog again - however, don't go quite as far away this time. Once he does a successful stay where he doesn't move out of the position until you return to his side and release him, then you can start to move farther away again. The same goes for your recalls. 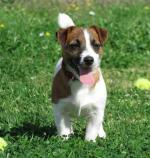 As he is successful, slowly start to increase the distance that you call your dog from. You can practice his stay command at the same time by having him stay in position until you call him to come to you. If your dog knows the "sit" command, try telling him to "pit" or tell him to "clown" instead of "down". Or how about asking him if he wants to "go in the bar" instead of "go in the car"... I kid you not. So what this means is that when you're working on training at a distance, you'll need a secondary way of communicating what you want to your dog as he won't always be able to hear you. Ergo, dog training hand signals. Now which hand signals you want to use is totally up to you. There's no right or wrong hand signals - as long as they are easy for your dog to differentiate, there should be no problem. That being said, there are a number of hand signals that are widely used for certain commands in advanced dog training. I have to admit, I have the most fun with advanced dog training. And I think I speak for my dog, Justice, too. When I used to teach obedience classes, Justice was my demonstration dog in class. When we would switch from an advanced class to a basic obedience class, she made it very clear that this was not nearly as fun! At this stage in training, your dog is solid with his basic commands. Most dogs get excited about learning something new, and keeps training interesting for both of you. So what sort of exercises can you add to your dog's repertoire? Off leash heeling is one exercise of advanced dog training. stranger food refusal: with your dog sitting in heel position, you command stay and another person holds a treat a couple feet in front of the dog and calls them to come... it's especially tough for dogs who love people! off leash heeling: you start by putting a training tab on the dog's collar when you unclip your leash, so that you have something to grab should your dog break the heel. Eventually (we're talking about 6 months here) you should be able to do naked dog heeling - no leash, no collar. down or sit on recall: for this exercise, you call your dog to come to you, and when your dog is about half way to you, you will command your dog to either down or sit. This is difficult as your dog has to mentally switch gears in the middle of an exercise - he's focusing on coming to you and then you ask him to do something different. Once he downs (or sits), wait about 10 seconds and then recall him to you again. Advanced dog training will benefit all dogs, regardless of size, breed, or age. If you aren't sure where to start on your own, it might be a good idea to find a training school nearby where you and your dog can learn from a professional. You don't need to be interested in showing your dog or sports to take your training a step further... and you can expect a happier, more obedient dog!